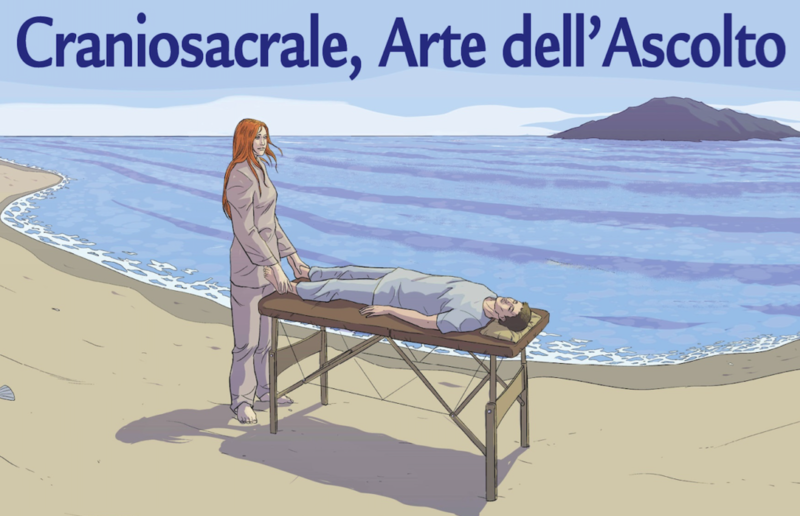 Home › Risorse › Blog › Declinazioni Craniosacrali, OC, TCS, BCS. 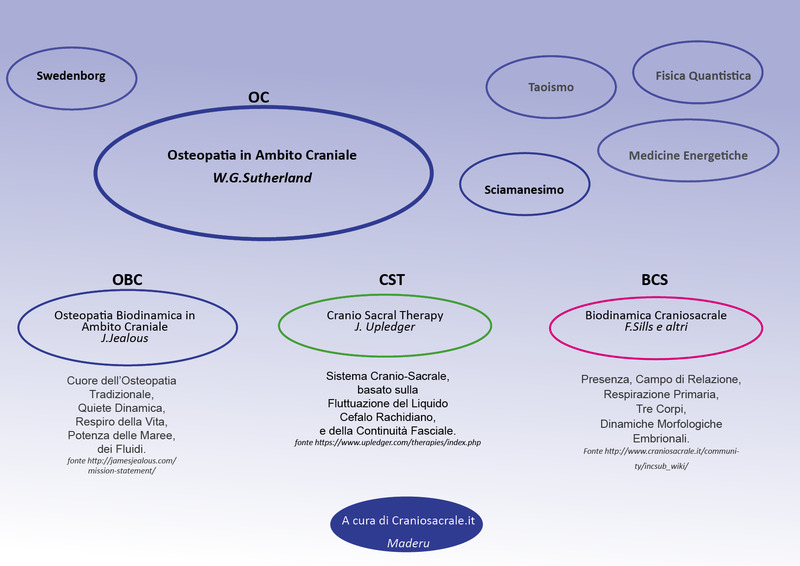 Una risposta breve ad una domanda: ma che differenza c’è nella pratica craniosacrale di un osteopata (OC), quella di un praticante la Tecnica Cranio Sacrale (TCS), e l’approccio della Biodinamica CranioSacrale (BCS) ? Una prima mappa delle referenze che possiamo attribuire a quello che W.G. Sutherland ha coniato come Meccanismo Respiratorio Primario e che poi ha ampliato con la metafora del “Breath of Life” (ovvero il Respiro della Vita, tradotto anche come Vitale o Soffio… per analogia biblica). Tratto da studi pubblicati (vedi bibliografia). Una vasta gamma di Cicli per minuto che chiaramente dipendono dal misuratore, dal suo intento e dagli strumenti che usa, palpazione e apparecchi. Guillaume JP. Entwicklungen und Perspektiven der kraniofascialen Osteopathie. Osteopath Med 2002; 2:9-12. 2. Woods JM, Woos RH. A physical finding related psychiatric disorders. J Am Osteopath Assoc 1961; 60:988 – 993. 4. Becker RE. Craniosacral trauma in the adult. Osteopath Ann 1976; 4:43-59. 5. Lay E. Cranial Field. In: Ward RC., ed. Foundations for Osteopathic Medicine. Baltimore: Williams and Wilkins; 1997; 901-913. 7. Wirth-Patullo V, Hayes KW. Interrater reliability of craniosacral rate measurements and their relationship with subjects’ and examiner’s heart and respiratory rate measurements. Phys Ther 1994; 74:908-920. 8. Nelson KE, et al. Cranial rhythmic impulse related to the Thraube-Hering-Mayer oscillation: comparing laser- Doppler flowmetry and papation. J Am Osteopath Assoc 2001; 101:163-173. 9. Becker R. Life in Motion: The Osteopathic Vision of Rollin E Becker. Brooks, RE., ed. Portland: Stillness Press 1997:120. 10. Upledger J, Vredevoogt JD. Craniosacral Therapy. Seattle: Eastland Press 1983; 243. 11. Jealous J. Emergence of originality. A biodynamic view of osteopathy in the cranial field. Course Manual 1997: 35, 36. 12. Michael DK, Retzlaff EW. A preliminary study of cranial bone movement in the squirrel monkey. J Am Osteopath Assoc 1975; 74: 886-889. 13. Liem T. Lecture: Vortrag OFM. 1998; Munich. 14. Lewer-Allen KL, Bunt EA, Lwer-Allen CM. Hydrodinamic Studies of the Human Craniospinal System. London: Janus Publishing Company; 2000:5. 15. Wallace WK et al. Ultrasonic techniques for measuring intracranial pulsations. Research and clinical studies. Neurology 1966; 16 (4): 380-382. 16. Lewer-Allen KL, Goldmann H. Phasic pressure characteristics of the cerebrospinal system. J S Afr Surg 1967:151. 17. Backer EG. Alteration in widt of maxillary arch and its relation to sutural movement of cranial bones. J Am Osteopath Assoc 1970; 70:559-564. 18. White DM, Jenkins CO, Campbell JK. The compensatory mechanism for volume changes in the brain. 23rd Annual Conference on Engineering in Medice and Biology November 1970:15-19. 19. Jenkins CO, Campbell JK, White DM. Modulation resembling Traube-Hering waves recorded in human brain. Eur Neurol 1971; 5:1-6. 20. Frymann VM. A study of the rhythmic motions of the living cranium. J Am Osteopath Assoc 1971; 70:928-945. 21. Life in Motion: The Osteopathic Vision of Rollin E Becker. Brooks, RE., ed. Portland: Stillness Press 1997:122. 22. Upledger JE, Karni Z. Mechanical electrical patterns during craniosacral osteopathic diagnosis and treatment. J Am Osteopath Assoc 1979; 78:782-791. 23. Brookes D. Lectures on Craniosacral Osteopathy. Northampton: Thorsons Publishers Ltd; 1981:58. 24. Upledger JE, Vredevoogt JD. Craniosacral Therapy. Seattle: Eastland Press; 1983: 275-281. 25. Podlas H, Lewer-Allen K, Bunt EA. Computed tomography studies of human brain movements. S Afr J Surg; 1984; 22(1):57-63. 26. Lewer-Allen K, Bunt EA. Slow oscillation of compliance and preassure rate in the naturally closed craniospinal system. In: Hoff JT, Betz AL, ed. Intracranial Pressure III. Berlin: Springer-Verlag; 1989; 251-254. 27. Lewer-Allen K, Bunt EA, Lewer-Allen CM. Hydrodynamic Studies of the Human Craniospinal System. London: Janus Publishing Company; 200; 5, 150, 158. 28. Druelle P. Allgemeine und cranial Osteopathie bei Neugeborenen und Kleindindern. Skript des Deutschen Osteopathie Kolleg; 40. 29. McCatty RR. Essentials of Craniosacral Osteopathy. Bath: Ashgrove Press; 1988. 30. Herniou JC Studies of the structures and mechanical properties of the cranium. In: Upledger JE, ed. 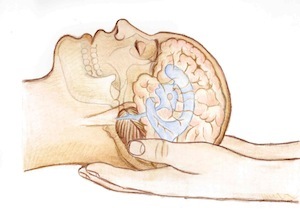 Research and Observations Support the Existence of a Craniosacral System. Florida: UI Enterprises; 1995:2. 31. Gunnegaard K. Rhythmische und nicht rhythmische Veränderungen der Dimensionen des menschlichen Schädels. Dtsch Zschr f boil Zahnm 1992; 8:160-169. 32. Norton JM, Sibley G, Broder-Oldach RE. Quantification of the cranial rhythmic impulse in human subjects. J Am Osteopath Assoc 1992; 92:1285. 33. Allen D. Observation from normal newborn osteopathic evaluations. Kirksville, Mo: Kirksville Osteopatic Medical Center; Residency project report 1993:19. 34. Greenman PE, McPartland JM. Cranial findings and iatrogenesis from craniosacral manipulation in persons with traumatic brain injury. J Am Osteopath Assoc 1995; 95:182-191. 35. McAdoo J, Kuchera ML. Reliability of cranial rhythmic impulse palpation. Unpublished data 1995. 36. Jealous J. Emergence of originality. A biodynamic view of osteopathy in the cranial field. Course notes 1997:12,35,36. 37. Zanakis MF, Marmora M, Dowling T et al. Cranial mobility in humans. J Am Osteopath Assoc 1996/97. 38. Magounn HI. Osteopathy in the Cranial Field. 3rd edn. Kirksville: Journal Printing Company 1976:24. 39. Wooley DW, Shaw EN. Evidence for the participation of serotonin in mental processes. Ann NY Acad Sci 1957; 66:649-665. 40. Clark LC. Discussion of evidence for the participation of serotonin. Ann NY Acad Sci 1957; 66:668. 41. Hyden H. Satellite cells iff EW, Mitchell FL. The Cranium and its Sutures. Berlin: Springer-Verlag 1987:14. 42. Pomerat CM. Rhytmic contraction of Schwann cells. Science 1959; 130:1759. 43. Lumsden CE, Pomerat CM. Normal oligodendrocytes in tissue culture. Exp Cell Res 1951; 2:103-114. 44. Retzla EW, Mitchell FL. The Cranium and its Sutures. Berlin: Springer-Verlag 1987:14. 46. Du Boulay G, O’Connell J, Currie J, Bostick T, Verity P. Further investigations on pulsatile movements in the cerebrospinal fluid pattern. Act Rad Diagn 1972; 13:496-523. 47. Sutherland WG. The Cranial Bowl. The Free Press Company, USA; 1939; 51, 55. 48. Greitz D, Wirestam R, Franck A, et al. Pulsatile brain movement and associated hydrodynamics studied by magnetic resonance phase imaging. Neuroradiology 1992; 34:370-380. 49. Greitz D, Franck A, Nordell B. On the pulsatile nature of intracranial and spinal CSF circulation demonstrated by MR imaging. Acta Radiol 1993; 34:321-328. 50. Gröschel-Stewart U, Unsicker K, Leonhardt H. Immunohostochemical demonstratin of contractile proteins in astrocytes, marginal glial and ependymal cells in rat diencephalon. Cell Tiss Res 1977; 180(1):133-137. 51. Scordilis SP, et al. Charactersation of the myosin-phosphorylating system in mormal murine astrocytes and derivative SV 40 wild-type and A-mutant transformants. Cell Biol 1977; 74:940-949. 52. Fifkova E. Actin in the nervous system. Brain Res Rev 1985; 9:187-215. 53. Alonso G, et al. Ultrastructural organization of actin filaments in neurosecretory axons of the rat. Cell Tiss Res 1981; 214:323-341. 54. Kimura A, et al. Tissue-specific and non-tissue-specific heavy-chain isoforms of myosin in the brain as revealed by monoclonal antibodies. Biochim Biophys Acta 1991; 1118(1):59-69. 55. Magoun HI. Osteopathy in the cranial fiel. 1st edn. Kirksville:1951; 24. 56. Sears TA. Investigations on respiratory motoneurones of the thoracic spinal cord. Prog Brain Res 1964; 259-272. 57. Upledger JE, Vredevoogt JD. Craniosacral therapy. Sattle: Eastland Press; 1983:11. 58. Upledger JE, Vredevoogt JD. Craniosacral Therapy. Seattle: Eastland Press; 1983:13. 59. Ferguson A. Cranial osteopathy: a new perspective. Acad Appl Osteopath 1991; 1:12-16. 60. Degenhardt B, Kuchera M. Update on osteopathic medical concepts and the lymphatic system. J Am Osteopath Assoc 1996; 96:97-100. 61. Kinmonth J, Taylor G. Spontaneous rhythmic contraction in human lymphatics. J Physiol 1956; 133-136. 62. Norton JM. A tissue pressure model for palpatory perception of the cranial rhythmic impulse. J Am Osteopath Assoc 1991; 91:975-994. 63. Norton JM Failure of a tissue model to predict cranial rhythmic impulse frequency. J Am Osteopath Assoc 1992; 92:1285. 64. McPartland J, Mein J. Entrainment and the cranial rhythmic impulse. Alt Ther HLth Med 1997; 3:40-45. 65. Tiller WA, McCraty R, Atkinson M. Cardiac coherence: a new, noninvasive measure of autonomic nervous system order. Alt Ther 1996;2:52-65. 66. McCraty R, Atkinson M, Tiller WA. New electrophysiological correlates associated with intentional heart focus. Subtle Energies 1995; 4:251-268. 67. Vern BA, Schuette WH, Leheta B, Juel VC, Radulovacki M. Low-frequency oscillation of cortical oxidative metabolism in walking and sleep. J Cereb Blood Flow Metab 1988; 8:215-226. 68. Farasyn A. New hypothesis for the origin of craniosacral motion. J Bodywork Move Ther 1999; 3:229-237. 69. Farasyn A, Vanderschueren F: The decrease of the cranial rhythmic impulse during maximal physical exertion: an argument for the hypothesis of venomotion? J Bodywork Move Ther 2001; 5(1):56-59. 70. Traube L. ϋber periodische Tätigkeits-Äusserungen des vasomotorischen und Hemmungs-Nervenzentrums. Cbl Med Wiss 1865; 56:881-885. 71. Hering E. ϋber Atemberwegungen des Gefässystems. Sitz Ber Akad Wiss Wien Mathe-Naturwiss Kl Anat 1869; 60:829-856. 72. Meyer S. ϋber spontane Blutdruckschwankungen. Sitz Ber AKad Wiss Wien Mathe-Naturwiss Kl Anat 1876; 67:282-305. 73. Sergueef N, Nelson KE, Glonek T. Changes in the Traube-Hering wave following cranial manipulation. J Am Osteopath Assoc 2001; 11:17. 74. Sergueef N, Nelson KE, Glonek T. The effect of cranial manipulation on the Traube-Hering-Meyer oscillation as measured by laser-Doppler flowmetry. Alt Ther hlth Med 2002; 8(6):74-76. 75. Nelson KE, Sergueef N, Glonek T. The cranial rhythmic impulse and the Traube-Hering-Meyer oscillation. In: Proceedings of the International Research Conference in celebration of the 20th anniversary of the Osteopathic Center for Children (Frymann VM, Director), San Diego California, 6-10 Febraury, 2002. 76. Jealous J. course notes from the biodynamic course; 1997. 77. DiGiovanna EL, Kuchera ML, Greenman PE. Efficacy and complications. In: Ward RC, ed. Foundations for Osteopathic Medicine. Baltimore: Williams and Wilkins 1997:1015-1023. 78. McPartland JM. Side effects from cranial-sacral treatment: case reports and commentary. J Bodywork Move Ther 1996; 1(1):2-5. 79. Greenman PE, McPartland JM. Cranial findings and iatrogenesis from craniosacral manipulation in patients with traumatic brain syndrome. J Am Osteopath Assoc 1995; 95:182-192. 80. Becker R. The Stillness of Life. Brooks RE, ed. Portland: Stillness Press 2000:66, 67, 69. 81. Sutherland WG. Contributions of Thought. Sutherland Cranial Teaching Foundation 1967:153, 208. 82. Sutherland WG. Contributions of Thought. Sutherland Cranial Teaching Foundation 1967:244. 83. Sutherland WG. Contributions of Thought. Sutherland Cranial Teaching Foundation 1967:166. 84. Heede PVD. Der Natϋrliche Geburtsvorgang Osteopath Med 2001; 4:10-12. 85. Magoun HI. Osteopathy in the Cranial Field. 1st edn. Kirksville: Journal Printing Company; 1951:76. 86. Jantsch E. Die Selbstorganisation des Universums. Vom Urknall zum menschlichen Geist. Munich: Hanse Verlag 1992; 61-63. 87. Commeaux Z. Robert Fulford DO and the Philosopher Physician. Seattle: Eastland Press 2002. Le fonti non includono Franklyn Sills, Michael Shea e Micheal Kern, autori ampiamente citati nel sito. Ad un prossimo aggiornamento.